Positioning equipment provides the person with the support they need to be comfortably upright and to more easily engage with the world. 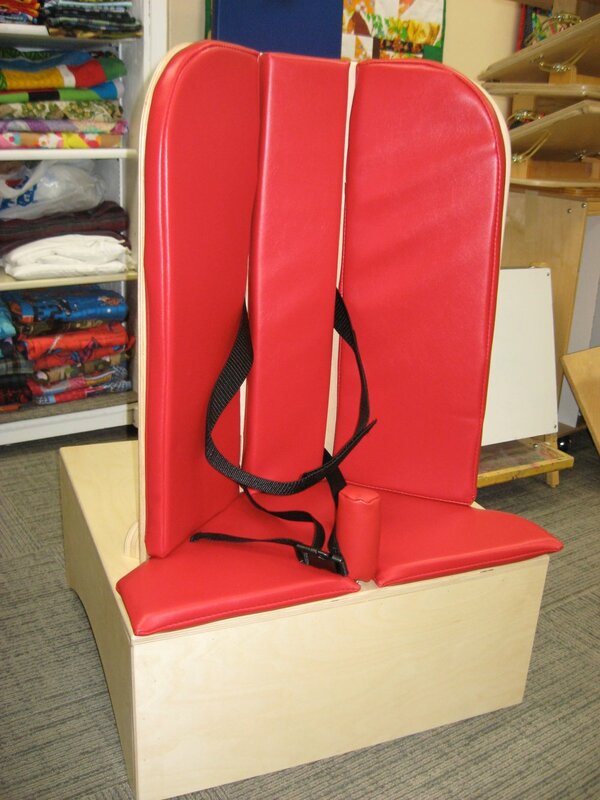 These chairs and standers not only hold the person securely, but often also help the person learn to properly orient their legs, backs, arms and heads. All of the positioning equipment we make at Special Needs Solutions is made in consultation with the therapist and family, and is custom designed to fit the measurements and needs of the individual.